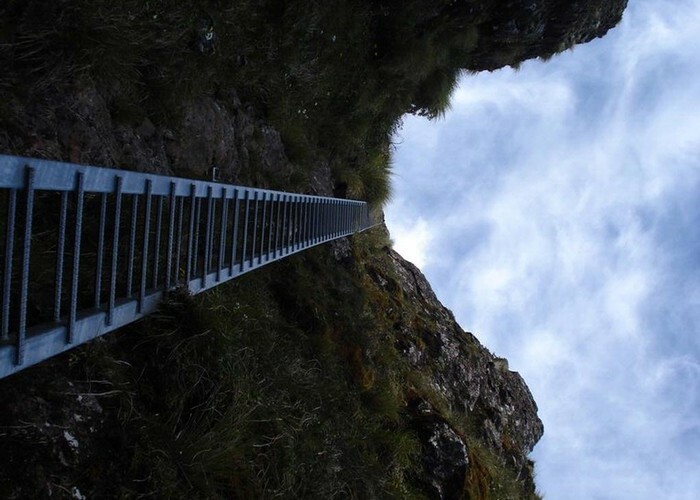 The steel ladder between Tuiti and Tunui on the Tararua main range. DEFINITELY not for the faint hearted! 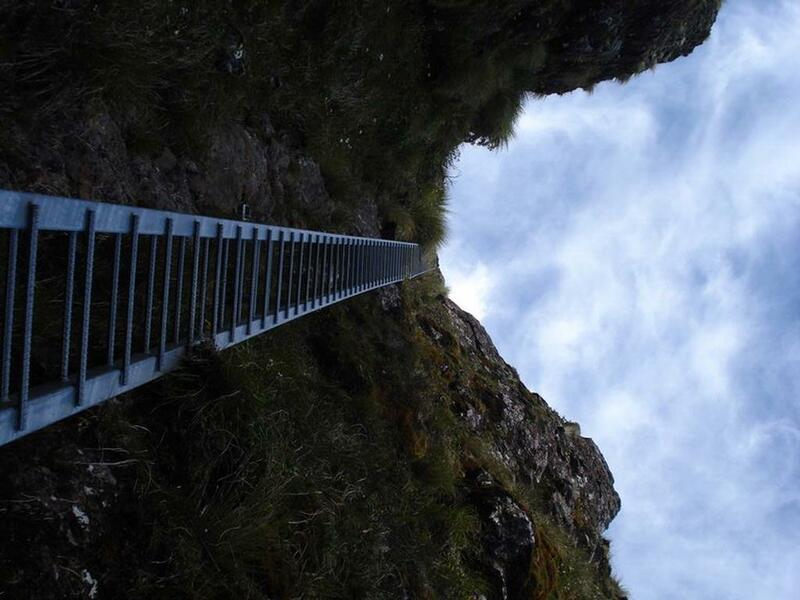 The ladder was the easy bit really..the rock scramble and goat trail along cliffs had me freaking out! Still, Maungahuka at last after how many years? Definitely worth it! John Saunders Must admit, I was still trembling a bit when I got to Maungahuka Hut and somebody handed me a mug of hot tea! Best cuppa ever. monkeysh1ne Bummer. Glad I'm not alone in how this place affected me. Trust your companion got his/her pack back and survived the ordeal. Poor soul! athlete272 I would be interested to see the view down. Looks like i will just have to visit this place. bigpaul Missed this due to really bad weather last January. Spent the night at Anderson memorial after turning north with a party of five one of whom had left his pack on Tuiti having freaked out. They were still shaking a day later. Added 13 May 2010 by monkeysh1nemonkeysh1ne. No revisions. 603 views in the past year (50 per month).